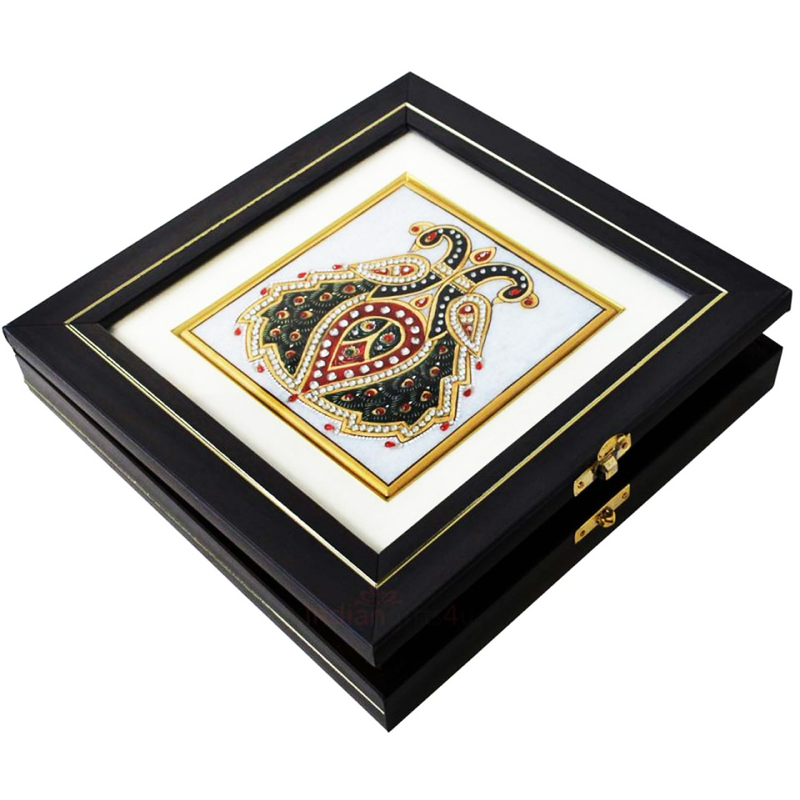 The Wooden & Marble Tile box is a treasure to have due to its rigid and sophisticated framework. 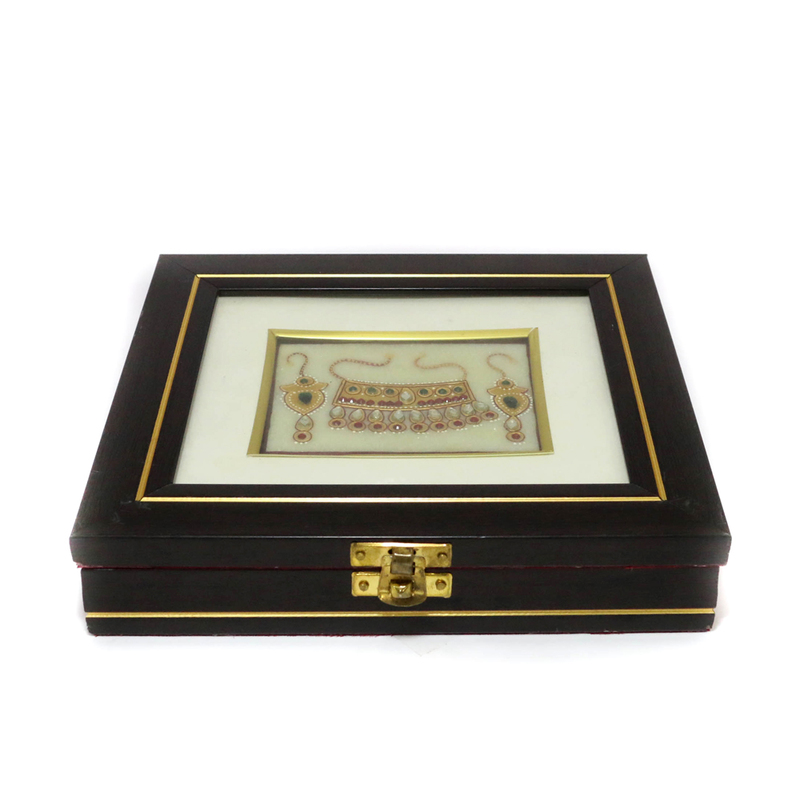 The box has a dark brown base Read More..with marble work on the front portions. It has a golden lock and the box can be opened using the latch attached to the lock. this box is perfect to store or present jewelries. Show Less..